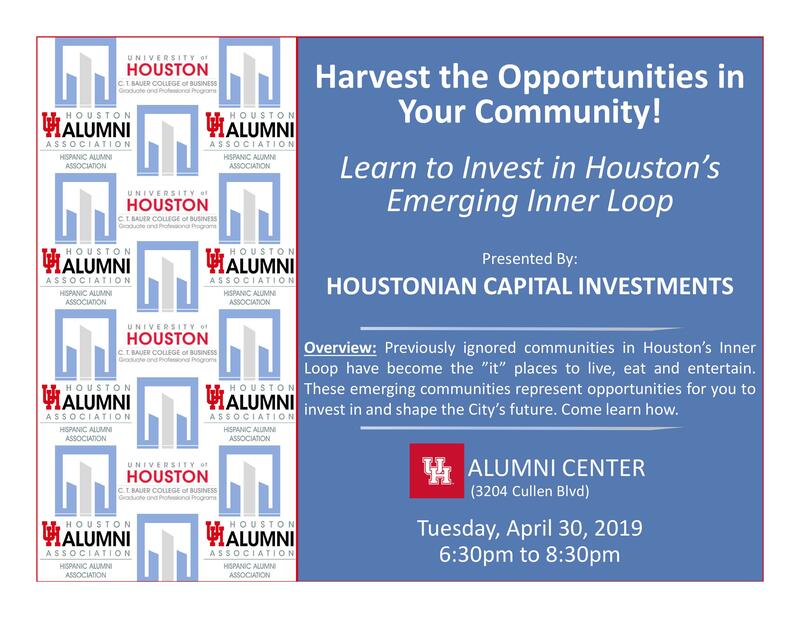 How to Grow Your Wealth: 2nd Workshop Harvest the Opportunities in Your Community Learn to Invest in Houston’s Emerging Inner Loop: Presented by Houstonian Capital Investments Sponsored By: UH Bauer College of Business Graduate Professional Programs Overview: Previously ignored communities in Houston’s Inner Loop have become the ”it” places to live, eat and entertain. These emerging communities represent opportunities for you to invest in and shape the City’s future. Come learn how.